Yamaha Corporation announces that six of its products have received the 17th Musikmesse International Press Award (mipa) and the 3rd Prolight + Sound International Press Award (pipa). Those were the new "Recording Custom" drum sets, the "Revstar Series" of electric guitars, the "THR100H Dual" guitar amp head, the "MONTAGE" music synthesizers, the "RIVAGE PM10" digital mixing system and Steinberg "Cubase 8.5" music production software. For the 17th time, more than 100 magazines from all over the world voted to determine the best musical instrument and audio equipment of 2015/2016 in the 38 categories of the mipa and pipa. 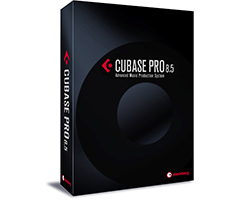 These winning products were selected for the best in each categories of acoustic drums, electric guitar, guitar amp, arranger workstation, recording software/hardware and mixing system(live). Originally launched in 1975, the Recording Custom series has become industry standard drum set admired by world leading drummers, engineers and studios around the world. Working with the legendary artist Steve Gadd, Yamaha has elevated the iconic Recording Custom series with new design elements, producing a refined focused sound with enhanced rounded and deeper tone. 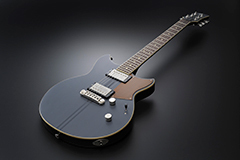 The "Revstar" electric guitar series introduces a new design concept geared to today's style sensibilities and features Yamaha's unique design capabilities in the first major update to the classic Yamaha guitar body shape in over a decade. Drawing inspiration from custom bikes and Japanese crafts, every detail of each model has been carefully engineered to bring out the unique personality of each guitar in the lineup. The "THR100H Dual" amp head packs true dual-amp functionality into a single package under 5kg. Both amps feature five custom-voiced amp types with natural, organic overdrive, Yamaha's new ultra-dynamic power amp with selectable output tube simulations and selectable class A or A/B topology, independently assignable boosters, reverbs and IR speaker simulators, as well as selectable single or true dual-discrete inputs for genuine dual-path connectivity. The "MONTAGE" is the flagship music synthesizer representing a new era in synthesizers with sophisticated dynamic control, massive sound creation and streamlined workflow all combined in a powerful keyboard designed to inspire players' creativity. The "RIVAGE PM10" is a new generation of Yamaha PM digital mixing system. In terms of sound quality, operation, functionality, reliability, expandability and more, the "RIVAGE PM10" is a thoroughly refined flagship that defines the direction for future generations.